It was only a day before leaving for Beijing, that PM Oli on Monday formally informed Parliament about his state visit to China. In his speech to the House, Oli was all praise for China but also sounded careful to not unnecessarily raise hackles again in India. Oli said his 19-24 June visit will focus on strengthening diplomatic ties between the two countries, and reaching understanding and signing agreements on railway, energy, cross-border transmission lines and connectivity. Oli will fly to Beijing on a Himalayan Airlines plane Tuesday morning, and pay a courtesy call on Chinese President Xi Jinping before holding a bilateral meeting with Chinese Premier Li Keqiang. 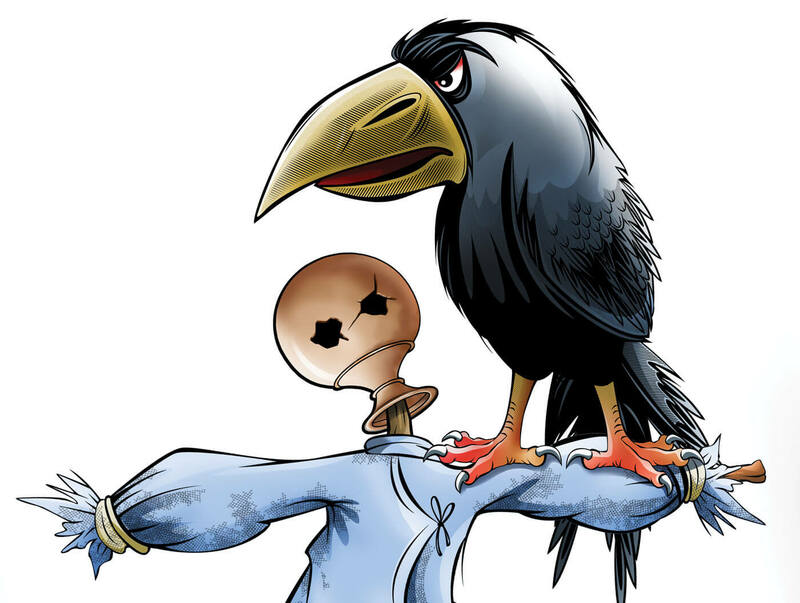 Oli has already been criticized for not flying the national flag-carrier Nepal Airlines, and opting for a joint venture between Yeti Airlines and China’s Tibet Airlines. On the eve of his second foreign trip since being sworn in as PM, Oli praised the northern neighbor for always respecting Nepal’s sovereignty, and showing generosity towards the Himalayan nation even at a time when its own economy was struggling. 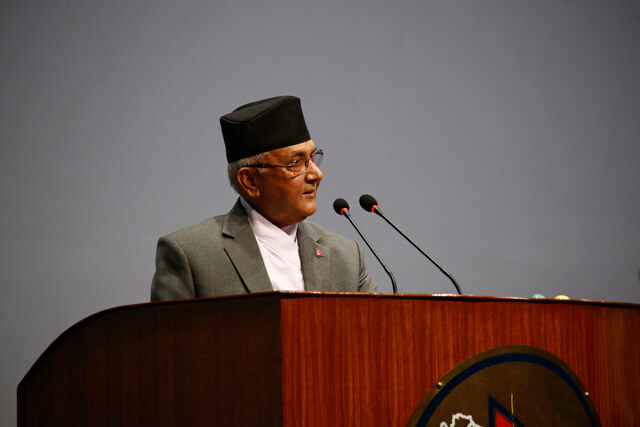 In a customary reiteration of ‘One China’ policy, PM Oli assured Beijing that his government would not allow anti-China activities in Nepal. “We understand and respect Beijing’s concerns, so we will never deviate from our ‘One China’ policy,” he said. Oli described China as a country with which Nepal has never had ‘problems’, but he also emphasised the need to cooperate with both neighbours to firmly put Nepal on the path to prosperity. In March 2016, when Oli went to Beijing during his first tenure as PM, he and his advisers let New Delhi believe that he was ’tilting towards Beijing’. New Delhi reacted by allegedly being behind the toppling of his coalition with the Maoists. 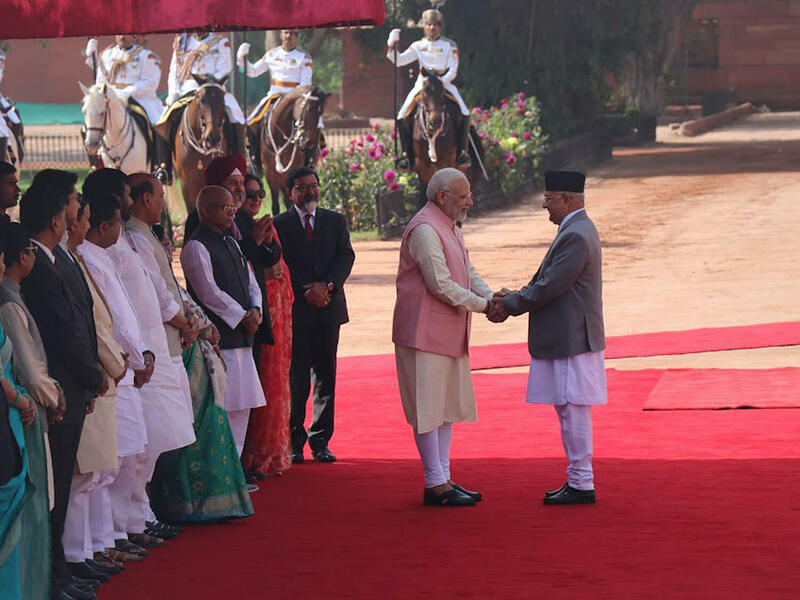 This time, even while highlighting the fact that Kathmandu’s relations with Beijing have never soured (something unimaginable in Nepal-India ties) Oli is quick to state that Kathmandu-New Delhi relations have been ‘strengthened’. PM Oli informed Parliament that a joint team is surveying Nepal’s southern plains to find ways to control floods and inundation, the Eminent Persons Group (EPG) is finalising its report early next month, and India has granted four new air routes to Nepal and agreed to remove its field office from Biratnagar. He also informed Parliament that a survey is underway to explore the potential of inland waterway and an Indian team is working on the Kathmandu-Raxaul rail project.